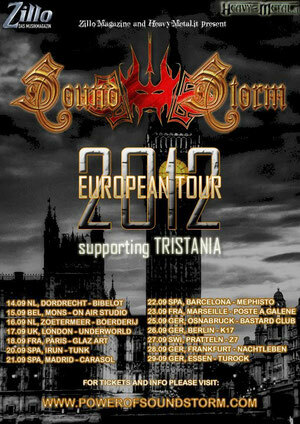 Italian theatrical metal band Sound Storm has signed with Scarlet Records for the release of their new album "IMMORTALIA" worldwide, now it is set to be released on August 28th, 2012. Over the years the band have developed a very personal blend of Heavy Metal mixed with a theatrical sense of drama, which was internationally recognised with the release of their critically acclaimed debut 'Twilight Opera'. 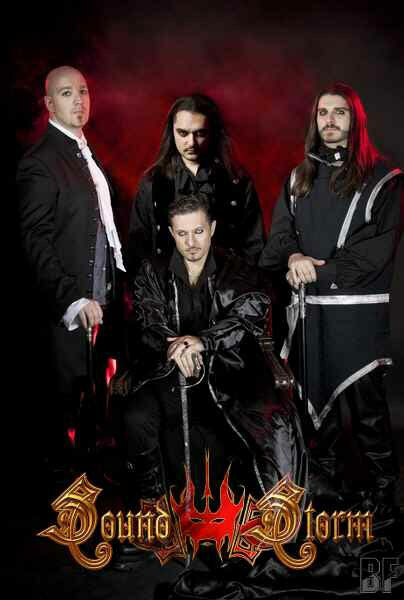 This chapter marked another important milestone for the band, mixing their wide range of influences in a piece of work perfectly balanced between powerful guitars, magnificent symphonic choirs, gothic atmospheres and baroque melodies, which is definitely worth listening to. "IMMORTALIA" is a stunning concept album on the quest for eternal life, an amazing journey through literature, poetry and history, a collection of songs linked together by the common theme of the immortality of the soul. 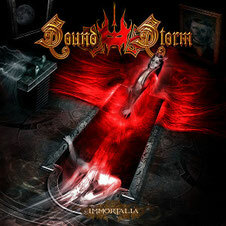 Recorded, mixed and mastered at Metal House Studio by Ettore Rigotti (Disarmonia Mundi), and the evocative artwork was handled by Felipe Machado Franco (Blind Guardian, Rhapsody Of Fire). Shortly the band will support Norwegian Gothic Metal veterans Tristania on their new European tour, starting September 14th.